The castle of Náměšť nad Oslavou offers a complex service for your wedding. This service includes a wedding ceremony in an attractive historical place, the possibility to have your wedding photos taken in the interiors of the castle, park and garden, wedding dinner in the Castle cafe and the possibility to spend your wedding night in the luxury apartments of the Castle Guest House. 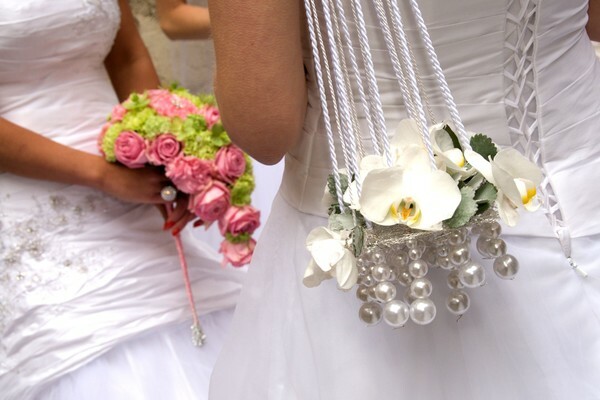 Give your wedding a beautiful atmosphere and let us take care of all necessities. 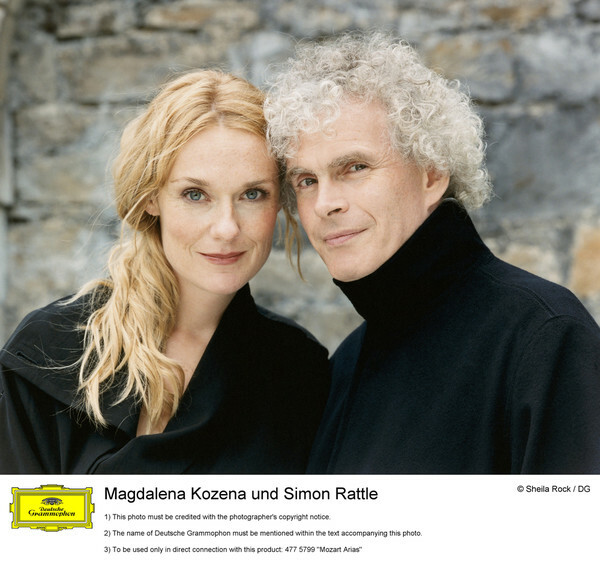 Our castle was honoured to be the wedding place of the Czech opera singer Magdalena Kožená and a conductor Sir Simon Rattle. The largest hall of the castle decorated with baroque frescoes is a regular venue of important cultural and social events, classical music concerts and, of course, wedding ceremonies. Maximum capacity of the library for the wedding is 120 seats, but also little ceremonies have their beautiful atmosphere here. We can arrange the hall according to your needs. The ceremony can be accompanied by piano music, the quality piano is placed in the library, and there is also a possibility of electricity to play recorded music. The hall is equipped with quality lights. Other services can be offered after an agreement. The hall is downstairs in the castle; there is a 5 steps barrier. A tea room is on the first floor of the castle representation halls and it is suitable for ceremonies of a family character with a maximum capacity of 40 people. We can arrange the hall according to your needs. If you choose this place for your wedding ceremony, you have to count that the entrance is possible only from the inner courtyard of the castle, there is 30 steps barrier. Wedding ceremonies can also take place in the outdoor areas of the castle. There is no maximum capacity of people in the park, in the French garden the maximum capacity is 50 people. The place is chosen according to your needs, we offer to rent chaos, historical table, electricity connection and energy. Castle parks and garden are barrier free. An attractive place of a castle chapel is a popular place for church wedding ceremonies. A capacity of the chapel is 50 people. The ceremony is discussed in advance with bride and groom and with a priest chosen by the couple. The entrance to the chapel is from the outer courtyard of the castle, the barrier is 20 steps. If agreed in advance by the town hall register office in Náměšť nad Oslavou we can arrange the wedding ceremony on the inner courtyard or another suitable place of the castle. The couple arranges the wedding date in the register office of the town hall in Náměšť nad Oslavou and in the castle office. The castle office provides the couple a confirmation for the register office that their wedding ceremony will be organised in the castle (if agreed by phone in advance the permission is issued immediately). Then we will discuss your ideas and our possibilities and we will agree the arrangement of the place in the castle etc. If you rent a library or a Tea room we will agree the way of payment and the date for signing an agreement. The couple arranges the date with the priest and the castle office. The details of the ceremony, agreement signature and the payment are discussed later. After the wedding ceremony we can offer you the possibility to take your wedding photos in the representation rooms of the castle. With your photographer you are allowed to visit the most interesting places of the castle and take interesting photos in the atmosphere of the castle for your unforgettable memories. Bonus: if your wedding ceremony takes place in the castle library, chapel or Tea room within the price 6,000,- Czk we offer you this wedding tour for taking photos free. Taking pictures in the park and garden is free and we do not require reservation in advance. Spend your wedding night in the romantic apartment of the castle guest house. Visit the photo gallery to see the apartments. We can arrange decorations and other services if agreed in advance. For more info see Castle Guest House. Wedding dinner could be arranged in the Castle café in the area of the castle. For info see Castle Café. Cars of wedding guests have the permission to enter the way to the castle behind the no entry sign to the first iron gate of the castle. Parking is possible on the road, but the half of the way must be let for other cars. Other cars must be parked on the car park by the road II/399 or in front of the castle riding hall. Cars are not allowed to enter the courtyard of the castle. The exception is given to the vehicles used by disabled people. For more info contact the office of the castle. The use of photos is permitted by the wedding guests.